How does one craft a User Experience for device orientations in 6 degrees of freedom? PhonePass has a patent-pending algorithm to uniquely identify devices based on the hardware signature obtained by holding the device in six different very precise orientations – vertical facing you, vertical away from you, horizontal facing you, horizontal away from you, on its back, and on its face. The unique device determination is used in a multi-factor, multi-device security strategy. How can one get everyday users to do these complicated manoeuvres? Can we make this a fun and fast process? Before building the security solution, we identified the two MVP experiments that the PhonePass team should run. Test whether the UX is delightful and effective in obtaining the results? Test whether users can accomplish the task in a short time space, especially through repeated use? Additionally, the PhonePass team decided to add another experiment: Test whether their implemented algorithm yields unique device fingerprints? 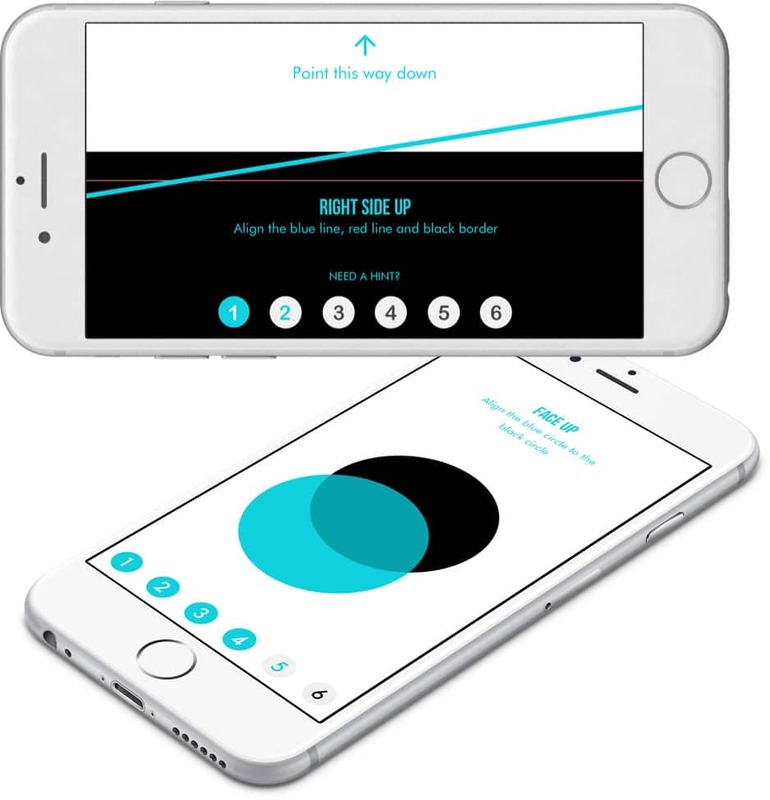 The most critical feature was to come up the alignment interaction: a way to guide users to align the device to only one of the X, Y and Z dimensions. Taking a cue from airplane horizon indicators, the elegant UX solution was to align the black border (which moves with one of the dimensions), the blue line (which moves with another dimension) with the red line which indicates the perfect center. A similar approach was used for the horizontal plane but with overlapping bubbles. A simple set of instructions told users what to do and vibration based feedback indicated when they had succeeded. 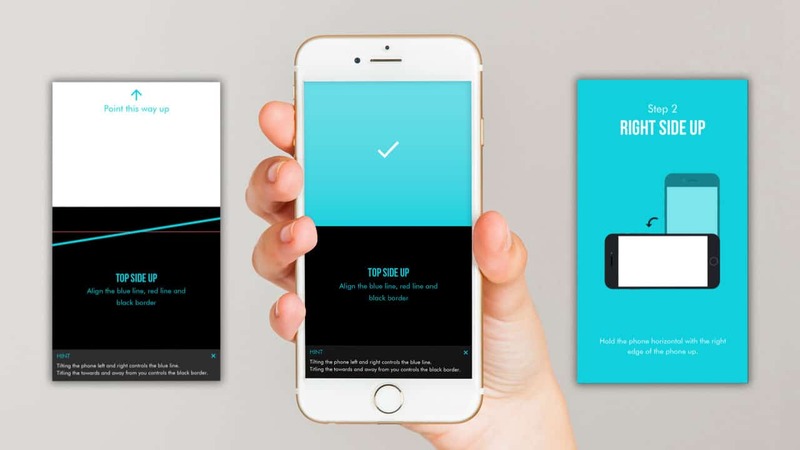 To motivate users to work this repeatedly and to provide enough statistical data for our experiments, we gamified the experiences and allowed users to compete against themselves in seeing how fast they could get all 6 readings done. The project was a success and lots of readings are being captured. The fastest reading is 6 seconds for all dimensions. PhonePass is now preparing to utilize this design in their security product.